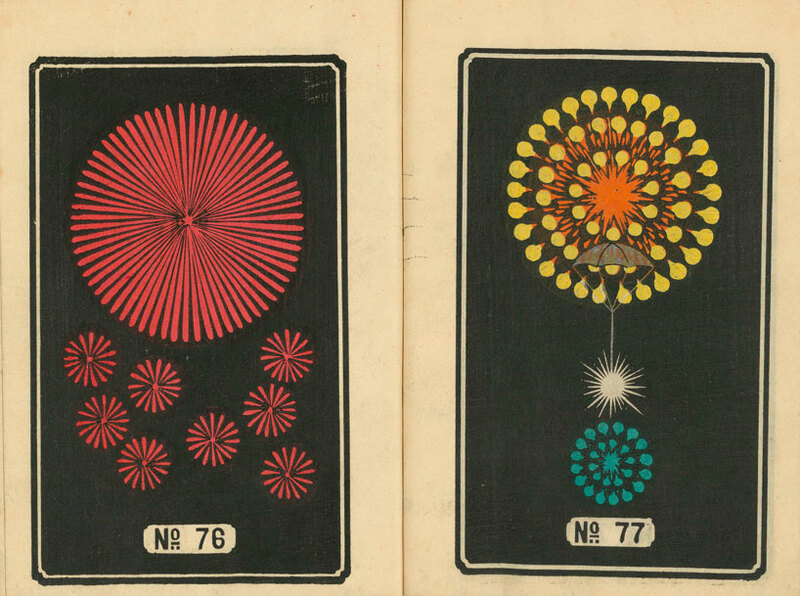 six colorful catalogs of firework designs by japanese master of light displays jinta hirayama have been digitized and made available to download. 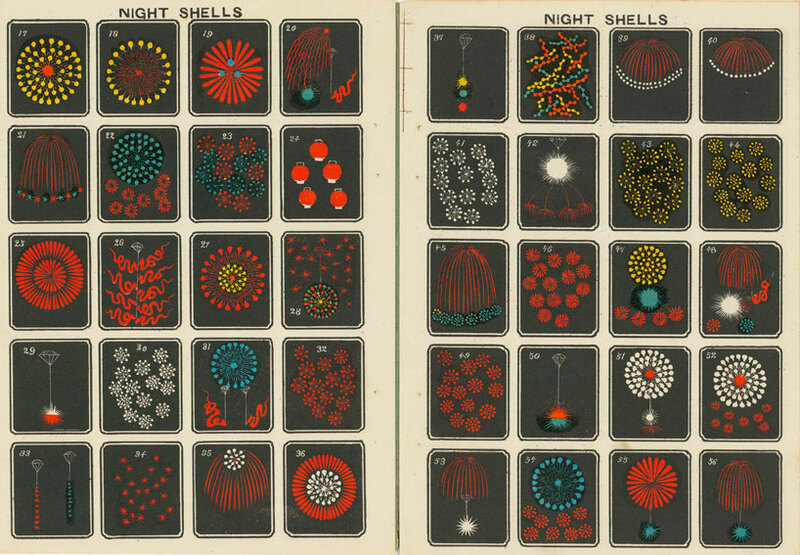 the illustrative works, originally published by 20th-century english fireworks company C.R. 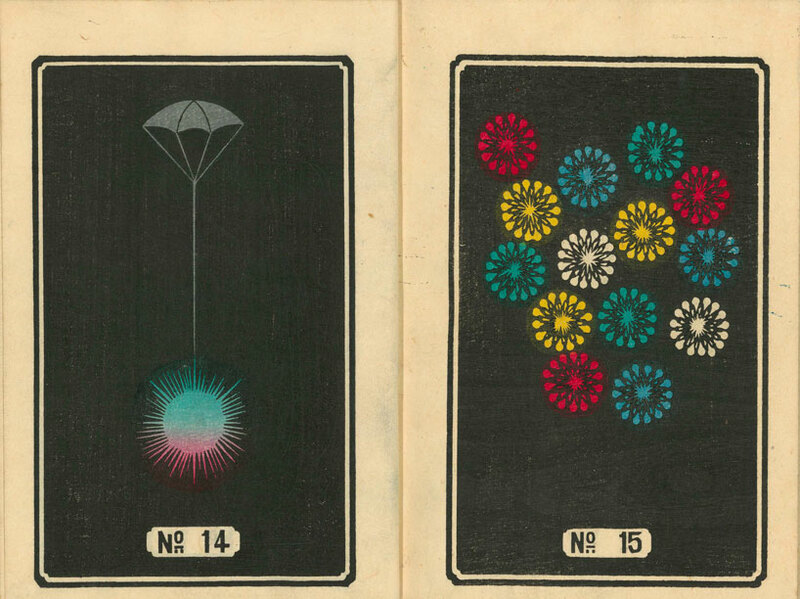 brock and company, trace a japanese history of diverse pyrotechnic diagrams. 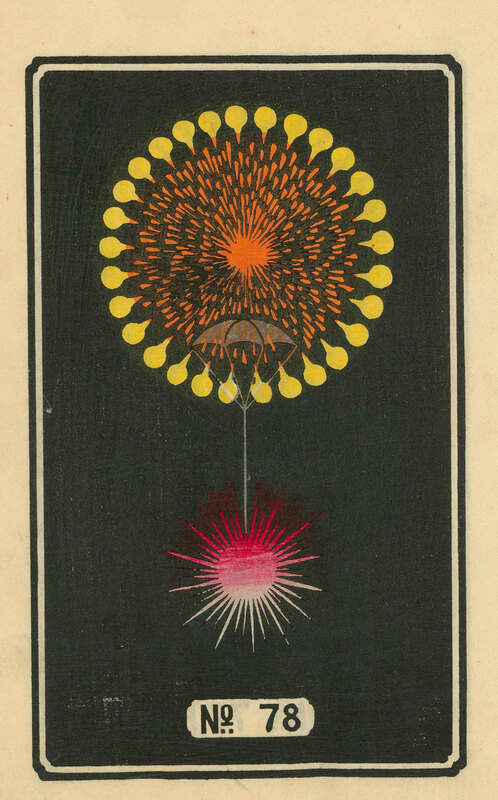 the japanese term for fireworks, hanabi (花火), combines the words for fire, bi (火), and flower, hana (火). 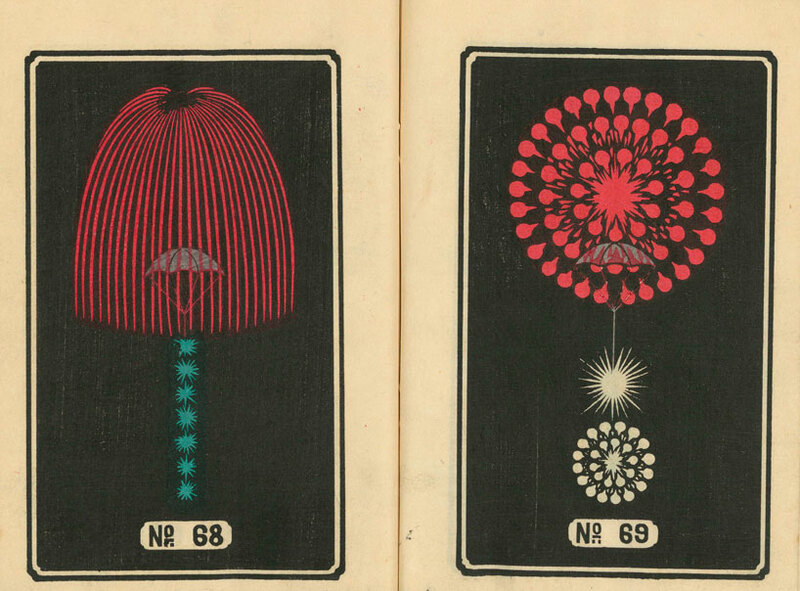 the word reflects on the close associations the japanese felt between presenting flowers and putting on a fireworks display. 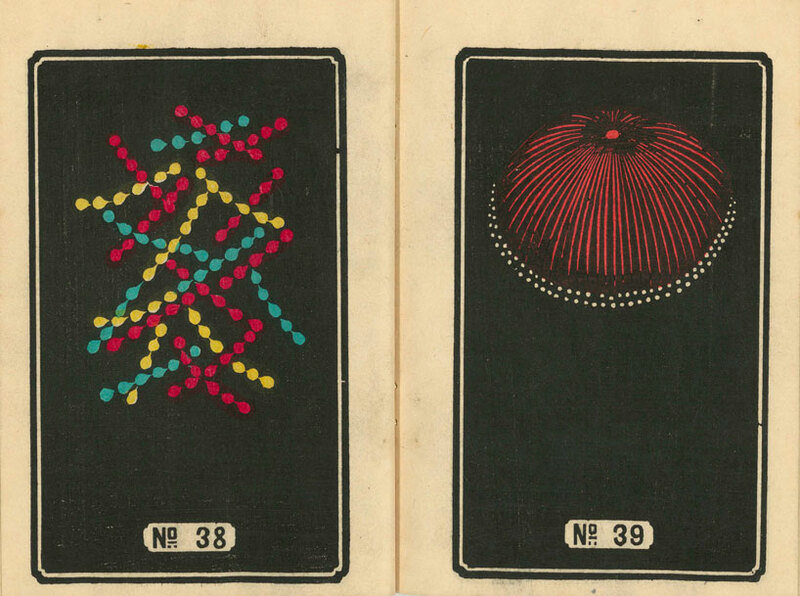 organized into categories like ‘vertical wheels,’ ‘phantom circles,’ and ‘colored floral bomb shells,’ each design illustrates various patterns of color against a black or blue background. in some the sparks of colour recall the shape and style of a bouquet, and in other more modest displays the simple use of lanterns lights up the sky. 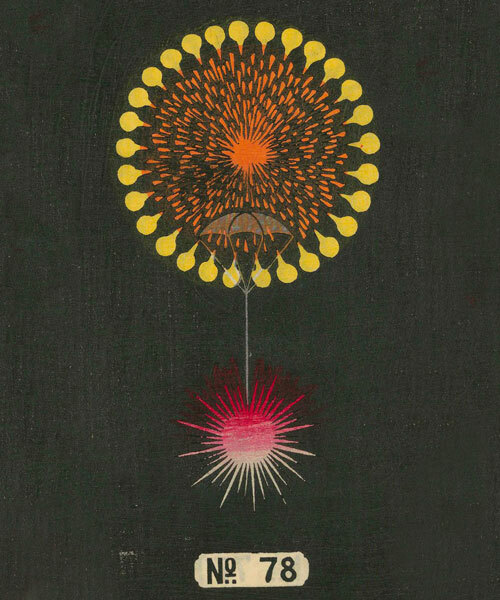 in 1877 pyrotechnist jinta hirayama founded the hirayama fireworks company in yokohama. there he recruited several firework artisans to come work for him at a time when japanese fireworks were limited to only subdued orange colours. 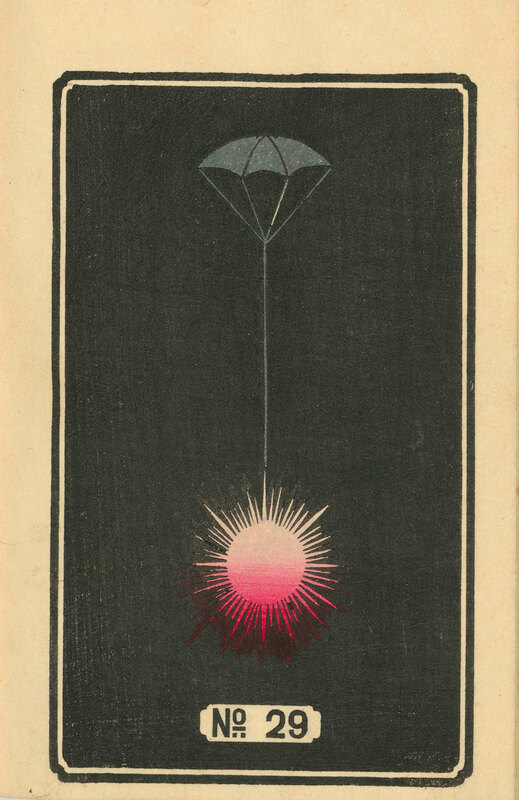 along with his team hirayama was one of the first leading pyrotechnist’s to incorporate brighter colors. 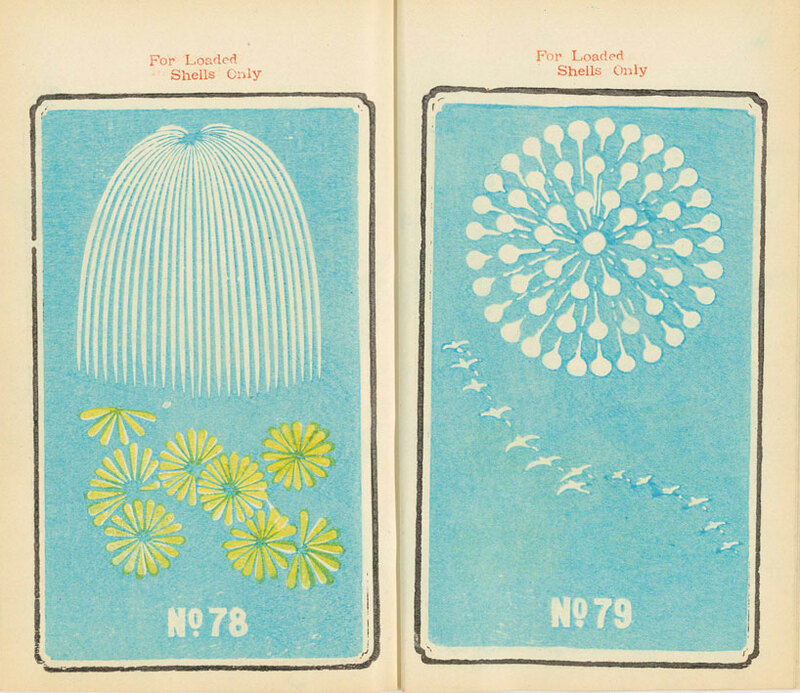 all six catalogues were published in the early 1900s by C.R. 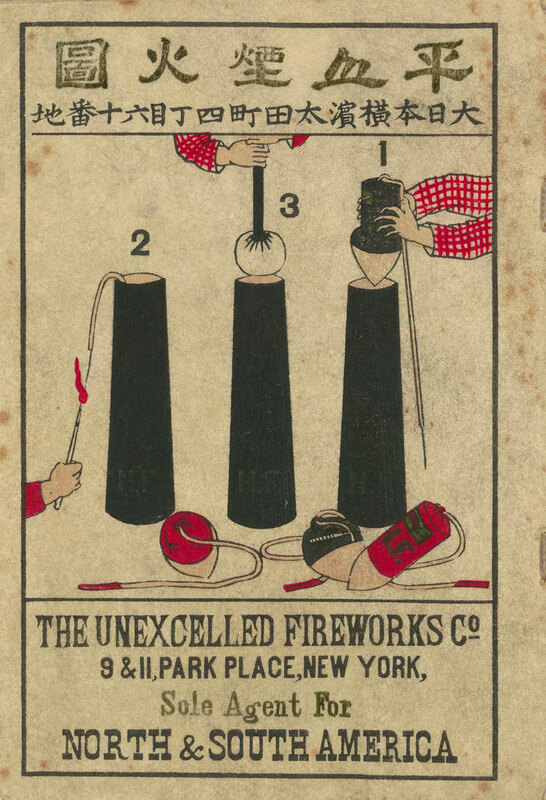 brock and company, founded in 1698 making it the oldest firework concern in the united kingdom. the works have been digitized by the yokohama board of education and are available to download thanks to the city of yokohama’s public library.